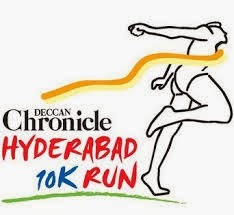 10 k run 10 k run hyderabad Deccan chronicle run for the cause. 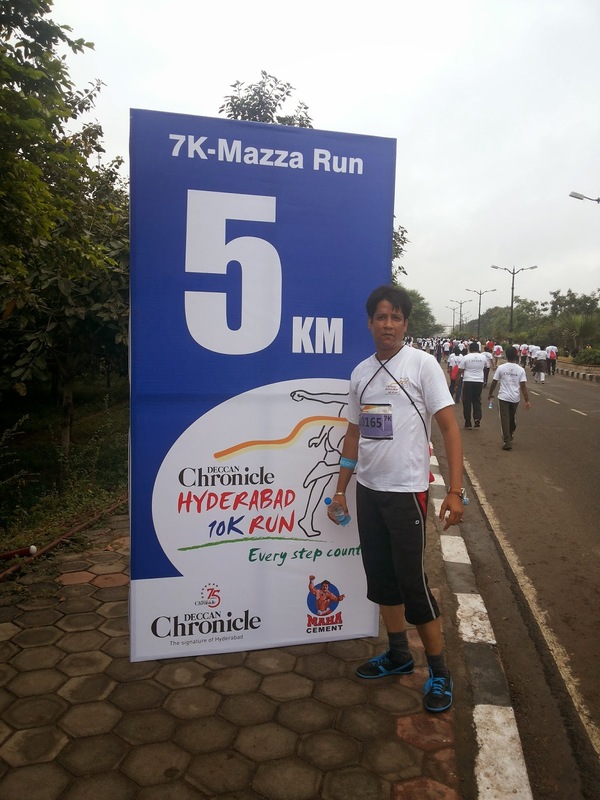 At 5 a.m. on Sunday, with the sky dark filled with heavy patches of cloud and the road slippery due to cyclonic rain (Helen), I drove through Hi-Tech city to People’s Plaza, Necklace Road, close to Hussain Sagar Lake, Hyderabad. Heavy rainfall a day before made it seem impossible for me to drive smoothly due to potholes on flyover and road, near Hafeezpet. 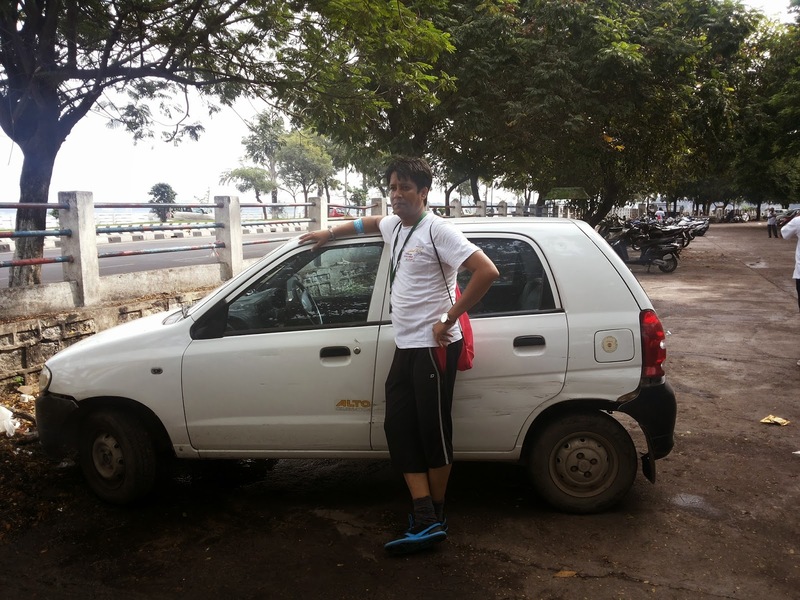 I parked the car in a lane opposite to NTR garden, and set my foot ahead for People's Plaza. The atmosphere was awesome with some hip hop music and dance being played and performed on the stage. I saw from a distance, some people of Shiamak Davar Institute of Performing Arts (SPIDA) were performing stage shows. 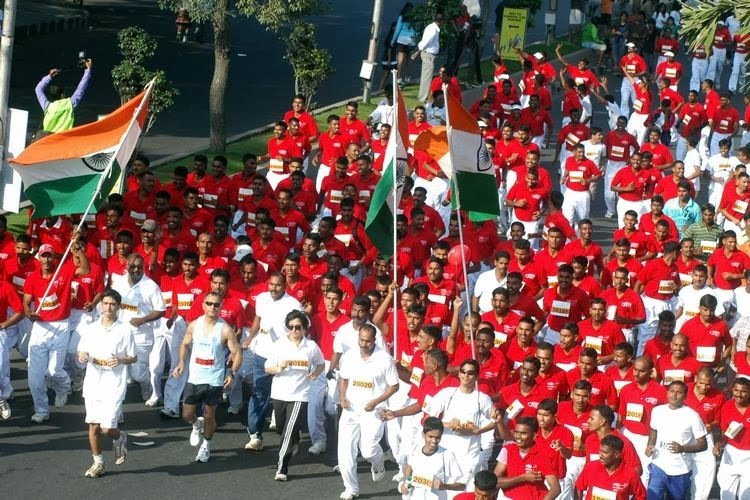 It was a great fun to see a massive turnout including social activists, athletes, police, media, celebrities, artists, politicians, school children, corporate employees, NGOs, charity organizations, amateurs, and many others. Really, this shows the ‘Unity in Diversity’, the true spirit of India. Never saw such a festive mood among all. I also saw some athletes from Nigeria, who ran as fast as light at the flag off, and thus clinched the honors in the elite category. I met some of my office colleagues and the management of our company who were ready for the 7 K Run, and enjoying the festive atmosphere. Hundreds of participants also came from different companies to run for the noble cause. 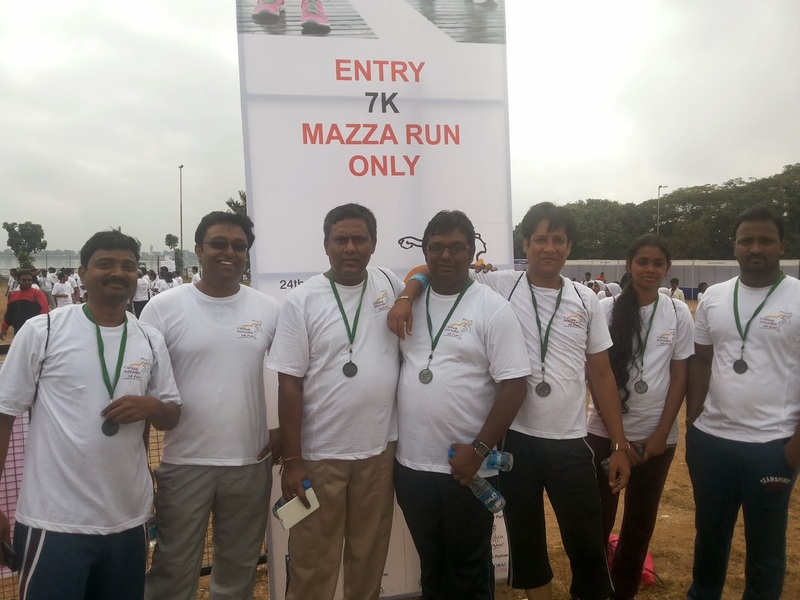 Hats off to corporate employees who really mesmerized me with 'positive sporty' attitude to show their fitness, and actively participated in the 10 K Run! 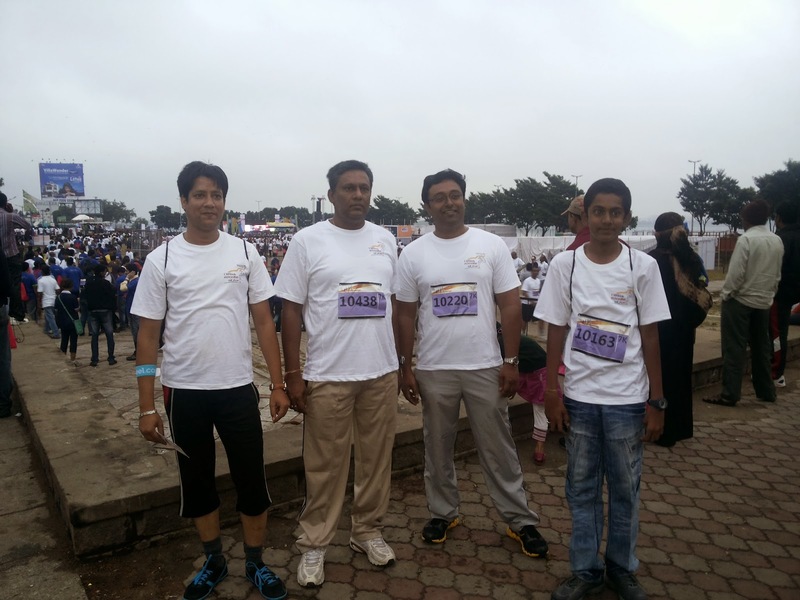 I saw how the AVP HR of my company encouraged his teenage son to be with him for the cause. I sensed a deep cultural value in him in upbringing his offspring. It was truly a father-son bond which I never saw in such a high spirit. Unbelievable though, I saw some more people came for the cause with their children. Among amazing and spectacular crowd, I also saw a man putting his child on his shoulder, and he was running faster than the average person like me. 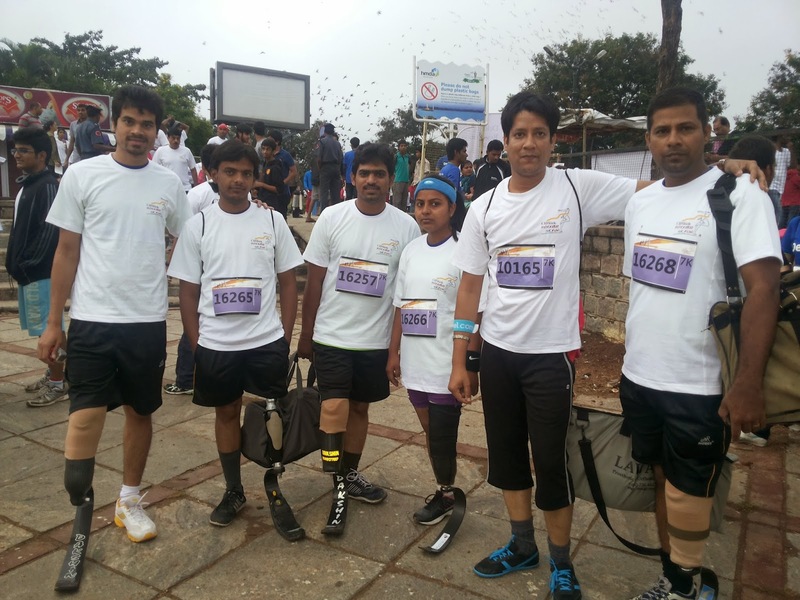 While chatting casually with my colleagues, my eyes fell for a group of physically handicapped group who were taking all big leaps for the 10 K Run. I quickly followed them, as they were real "heroes" for me who came for the cause to show their fitness. In a rush to go for a 10 k Run, they were quick at disposing answers to my short questions, and a few photographs with them made me almost cry. My heart felt for them. A big salute to these heroes for their encouragement, their love for their life, and eagerness to stay hearty and healthy! 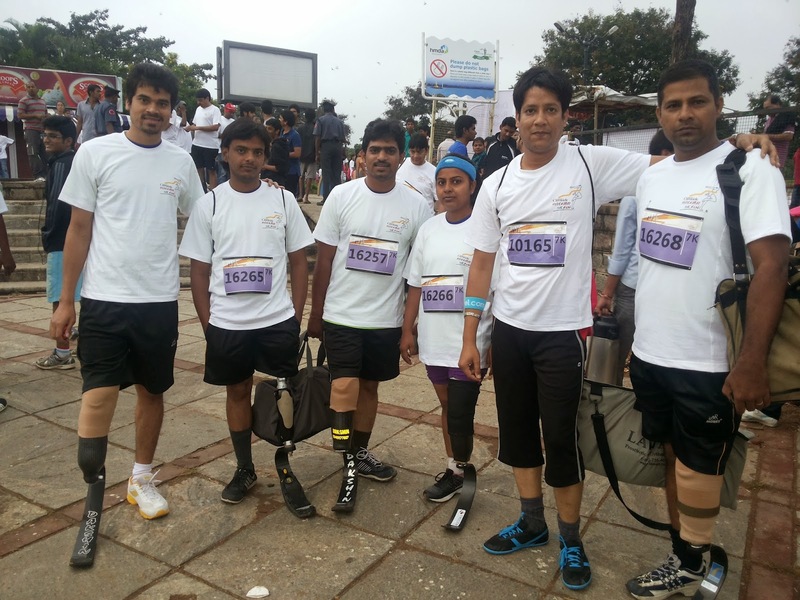 At the flag off, we were all set for 7 K Run. Running for a mile in group, we all lost, and then I aimed at finishing the run as quickly as possible. I ran, walked for a while, ran again, took water, and finally completed first 5 K in 25-30 minutes. Finally, we hit back the door from where we started. Soon, our colleagues and corporate associates met together. We took some group photos, and then set for the final departure from there. It was all fun, and awesome experience. Hope to attend the same event next year as well! Forcefully, I had to walk up to my car, as I was sweat, and very tired. While driving back my home, I was thinking about my heroes who in a short meeting left an indelible remark on me, and changed my vision towards life. The next day, I saw some online media and newspapers covered a story about a handicapped man on wheelchair that drew all eyeballs. Salute to him for his courage and determination to run that has really promoted hope and self-reliance to make a positive impact on all of us. However, I got little upset when I did not see my ‘heroes’ again who came and lost in the crowd. Hope, someone would find them some days! Thanks to 'them' for letting me discover a new fitness avatar in me. Truly said, every step counts and so does every good moment! 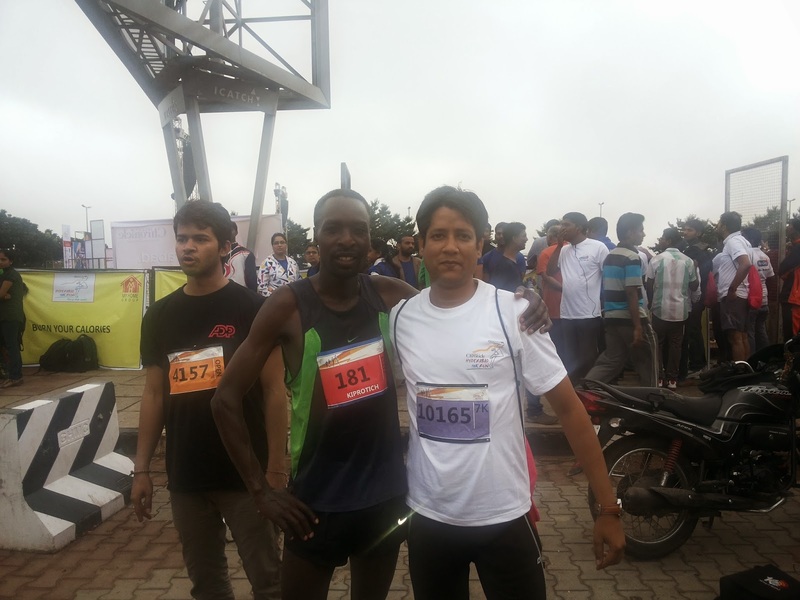 Note: I could not resist myself from covering the recent 10 K Run event on my blog because of the ‘spirit’ that I have seen among thousands of participants who came from different social strata for the noble cause of charity. Though, I have never written off-track topics such as this post, but the event has so positively been perused that I can’t escape from writing about this, as my journalistic instinct demands me to cover the event regardless of the theme of the my blog. No theme is greater than sharing personal experience on an event organized for the noble cause. Hence, bear with me for this post. time to read your other articles. Let us hope they're just like this one.